Over the last three decades of helping clients, we have been fortunate to walk with families across all stages of life. We have learned that, invariably, our happiest clients tend to be the ones who are giving away their time and money to things they are passionate about. 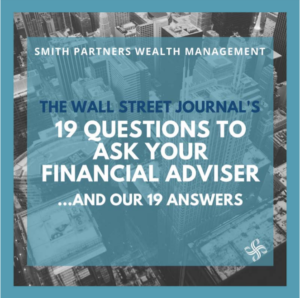 In turn, we have made it our mission to bring the area of “giving back” fully into the process of financial planning with our clients and in our own lives as well. Back in 1996, the Smith family started a tradition of hanging spheres of chicken wire wrapped in mini Christmas lights from their trees in the front yard. The tradition spread and pretty soon the whole neighborhood was in on it. 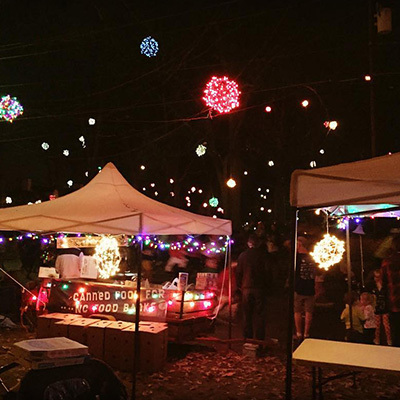 It sparked a block party and neighbors getting to know each other better all because of some Christmas lights. However it was only when a neighbor suggested that we pair a canned food drive with our annual workshop the that the movement took off. Since then, over 1.3 million meals have been provided to the local homeless and hungry because of these lights. Justin has a short TED talk on the lights and the whole family was featured in a 2015 Today Show segment. We believe that one of the most valuable things we can give is our time. 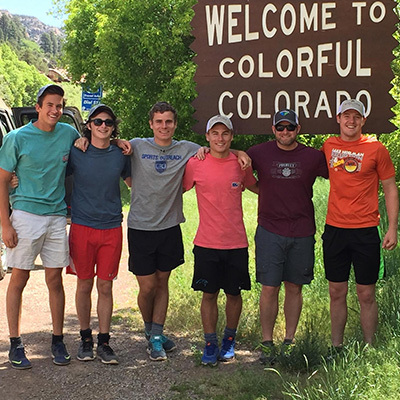 Stephen discovered this when he started spending time mentoring a small group of younger guys. Over the years, they have shared experiences like cross-country adventures but they also share rest and reflection and community together. And the impact isn’t just on the guys he mentors, but it affects Stephen too.We believe that when we give away ourselves in service, that it gives us a new pair of eyes to see not just the people we are serving, but every person we encounter. We have found that one of the greatest gifts to future generations is the concept of giving to others. When Justin noticed that his oldest daughter Grayson had a particular heart for homeless and hungry “friends” (as she called them), he and his wife Millie stoked that fire. 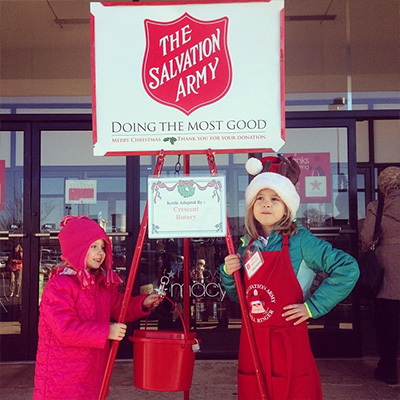 They brought her along on Salvation Army bell-ringing trips, they helped her host “craft sales” to raise money, and bought supplies to pack their cars with “care packages” to pass out on street corners. We partner with our clients in passing along the “gift of giving” by helping them set up a personal family foundation funded with appreciated stock and then encouraging them to involve others in giving away the proceeds. Imagine having a granddaughter who is passionate about rescuing animals. What if you could teach her about giving and also validate her compassion by letting her choose which animal rescue charity you should support. A few years ago, Justin experienced “efficient giving” and it forever changed the direction of his family’s giving. 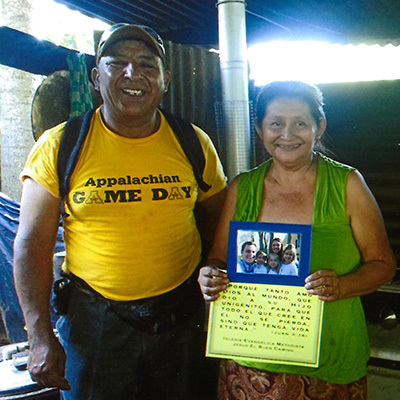 On a whim, they donated $300 to a local church’s mission so that a Guatemalan family could have a water filtration device and a clean burning stove. What drove it home was the picture of the family that received “Justin’s” stove. The family was pictured in their hut, holding a picture of Justin’s family. That connection made a lasting impact. Today, we encourage our clients to give efficiently. That might take the form of making tax efficient stock gifts or encouraging clients to make their donation contingent of the organization finding “matching funds”. Other times it means helping a client vet an organization to make sure they are good stewards of the client’s gift. You might think of the symphony as being music you have to “learn” to enjoy, but Jonathan and Anne would disagree. For decades they have enjoyed the Greensboro Symphony Orchestra (GSO) as season ticket holders, concert sponsors, and through 14 years as board members and trustee of the GSO Endowment. Their love for music has enabled the Symphony to share the gift of music with local students who would never have the chance to hear it otherwise. But their favorite part has been to simply share their extra tickets with friends so they can experience it themselves. More often than not, these friends have become patrons themselves. Jonathan and Anne’s favorites “friends” to take might be their grandkids. 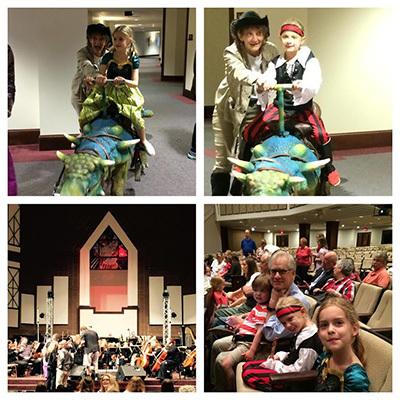 Who could resist a “petting zoo” of instruments while dressed up as “Pirates and Princesses” to experience the symphony?